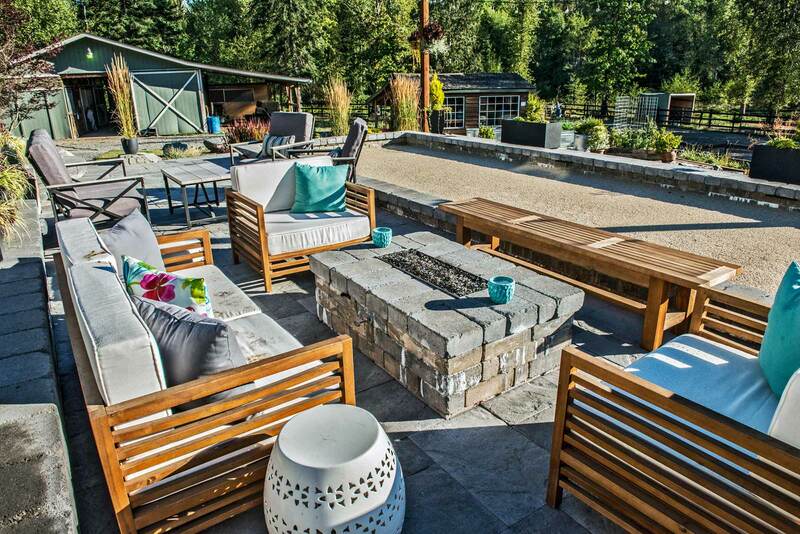 The owners of this Olympia home wanted to renovate their backyard for more usable space and room to entertain friends and family. 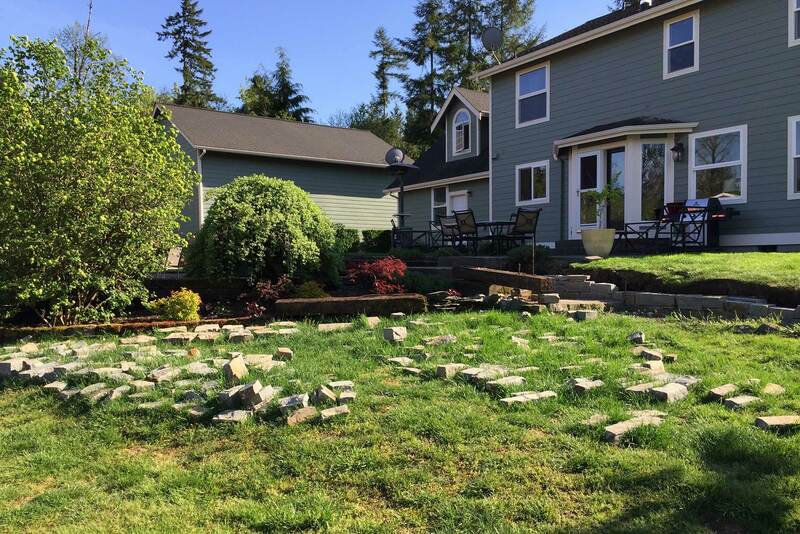 The original landscaping was overgrown with older shrubbery and worn-out grass. 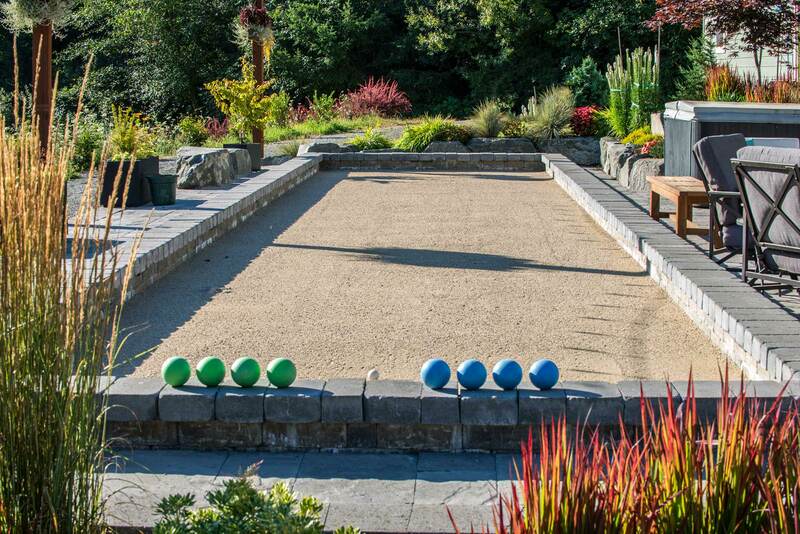 They also came up with the idea of adding a bocce ball court. 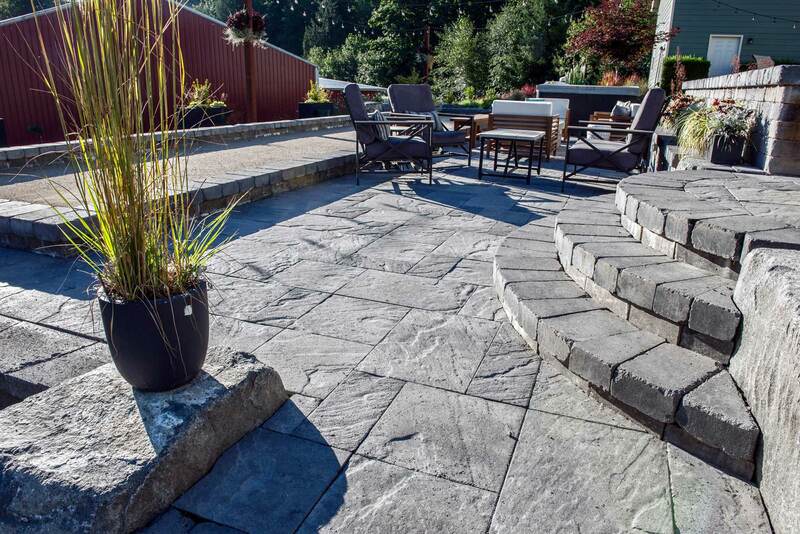 Dreamscapes regraded the entire backyard and built a two-tiered paver patio with seating walls featuring Columbia slate. 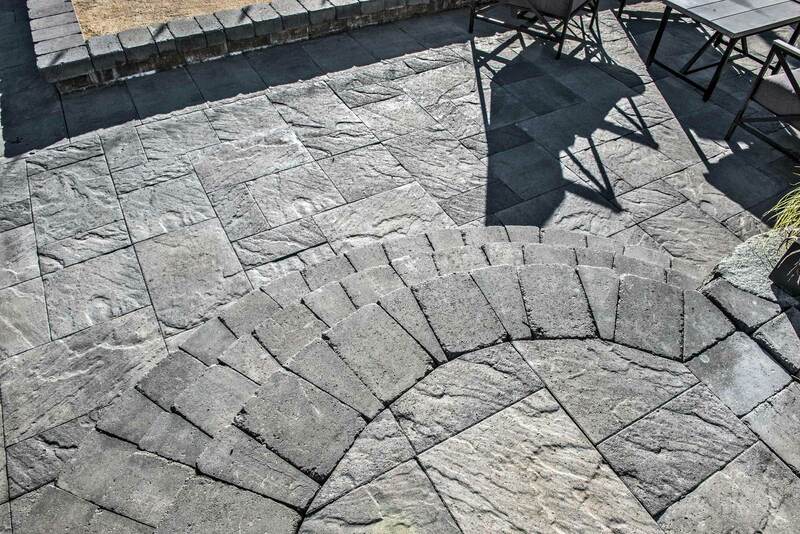 We used Tuscan stone to build retaining walls bewteen the two patio tiers, the bocce ball court the stairs between patio levels and a matching firepit. 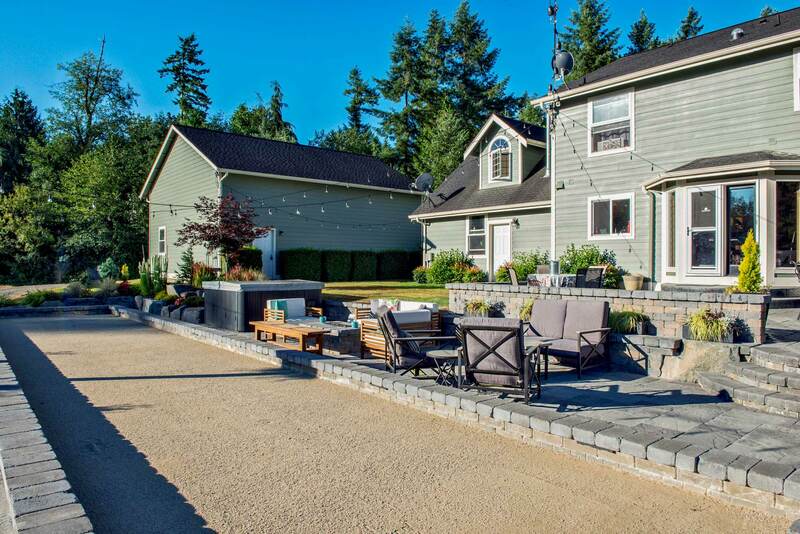 The court itself consists of decomposed granite, which packs down tightly to create a smooth playing surface. 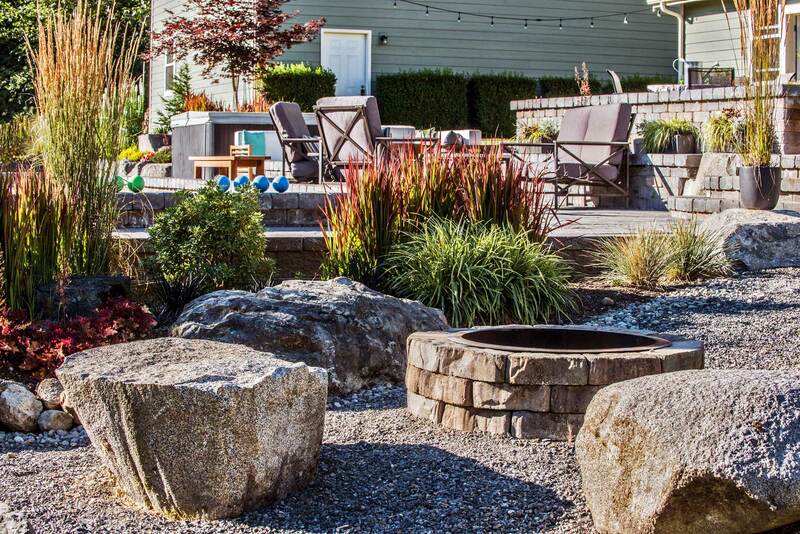 As finishing touches, we installed new softscaping, plants, and a Rainbird irrigation system. 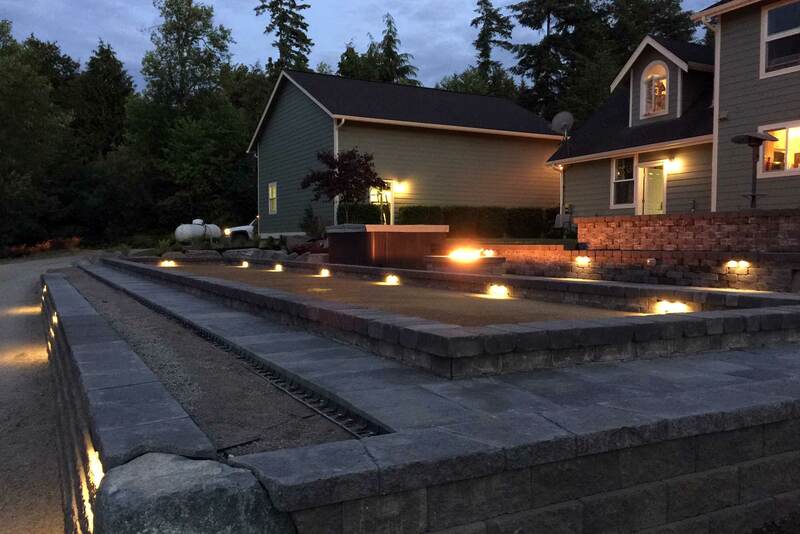 And to make the new backyard usable at night, we integrated an low-voltage lighting system.